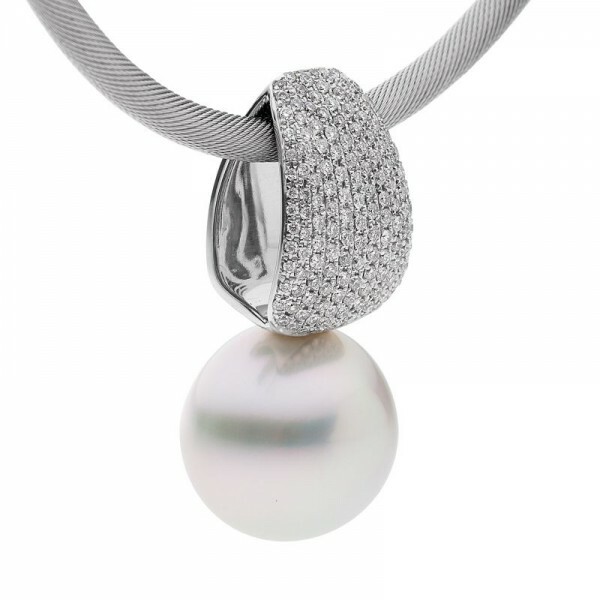 One of our showstopper designs. 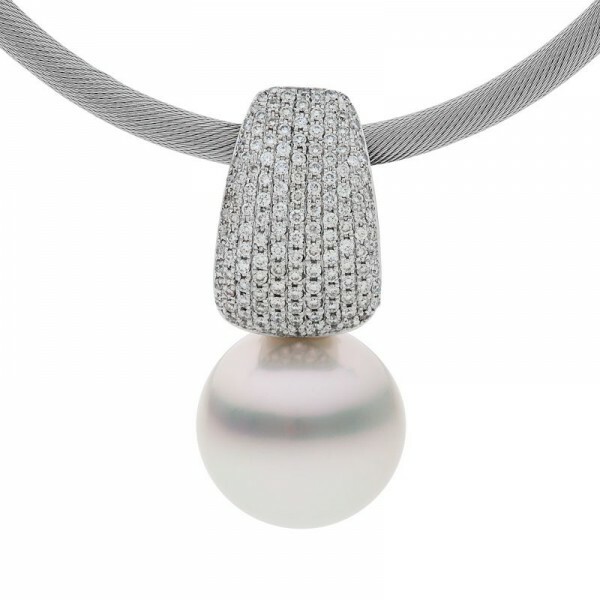 A soft liquid curve encrusted with pavé set diamonds scintillates above a rare 15mm Broome pearl. 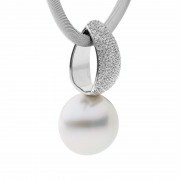 This pendant will only ever be made twice, each with their own hand selected South Sea pearl for a unique finish. 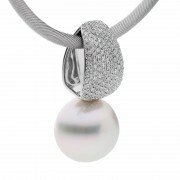 Standout in a crowd and expect to be stopped for endless comments in a piece that truly speaks for itself.